Dan Weiss of Left Coast Quintet talked to us about the benefits of hiring a professional live music band. Dan explained some of the professional band qualities and shared tips and tricks for choosing the wedding songs. What should our readers know about you? Hi! 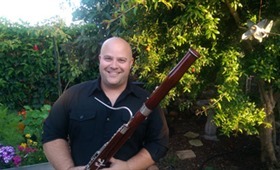 I'm Dan, and I'm one of the founders and the artistic director of the Left Coast Quintet. I started this group with a few other local musicians in 2014 with the intent to have some fun, find new wedding songs for wind quintet, and perform more often. 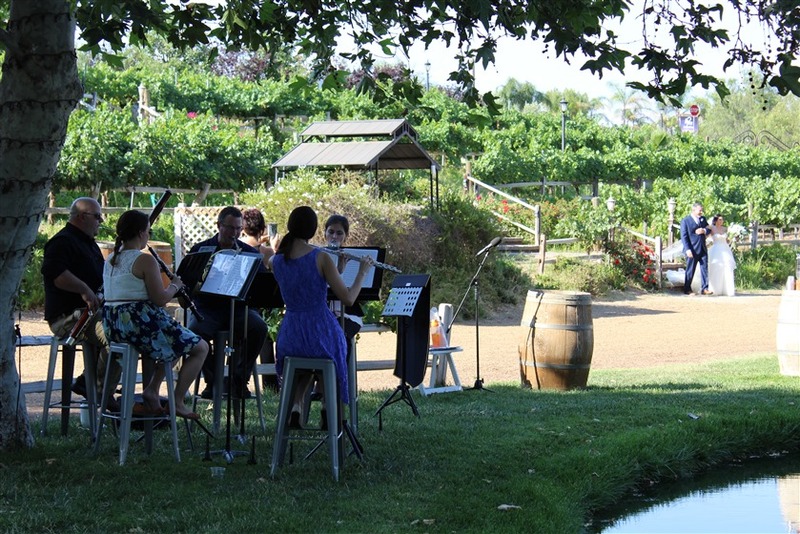 We began receiving inquiries for weddings and corporate events quickly, once people started to see how unique wind quintets are and the variety of music we were able to provide. Two years ago, we started offering other ensembles as well, since we had been getting requests for a wind trio and string ensembles. I partnered with a good friend and violin player who sets up all of our string ensembles, and we are able to cover the spectrum of small music ensembles. 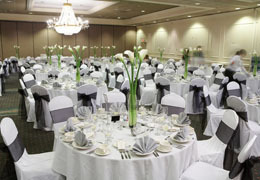 The most important or differing aspect of our group compared to others in the area is me - I have a background in large-scale incident planning and management and have a keen sense of detail, so I strive to give my clients an entirely hassle-free experience with open communication, honest ideas about wedding songs, and a guarantee of being prepared and on time for events. "The greatest benefit from this profession is being able to bring high-quality live wedding songs to events that might otherwise just have a DJ or recorded music." I've been a musician since I was a small child in El Paso, TX. I started playing piano and guitar, and ultimately settled on bassoon in middle school. During high school, I formed a wind quintet that competed on the state level and also played for various events. I played in a pit orchestra for a Gilbert and Sullivan troupe and filled in when necessary for a professional symphony orchestra. I decided to study City and Regional Planning in college and moved to California where I attended Cal Poly in San Luis Obispo. 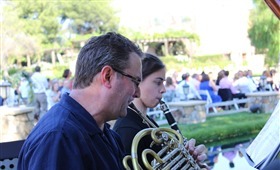 I continued music in school, playing with the San Luis Obispo Symphony, and I had a wind quintet that was invited to the Carmel Bach Festival, Festival Mozaic, and Music Academy of the West for various performances. The quintet also played wedding songs at weddings and corporate galas throughout the Central Coast. When I moved to San Diego, I quickly immersed myself in the music scene and have performed with the City Ballet Orchestra, Opera NEO, the Greater San Diego Chamber Orchestra, the Imperial Valley Symphony, and I'm the orchestra manager for the Villa Musica Summer Symphony. The players in the various Left Coast Music ensembles are all musicians from these various ensembles who I've met over the years, they are incredible musicians and generally fun people to hang out with. The greatest benefit from this profession is being able to bring high-quality live wedding songs to events that might otherwise just have a DJ or recorded music - it's just an extra special way of celebrating the event and elevating the sophistication and elegance of a wedding ceremony. I saw a need for other options for live music in San Diego and knew there would be a demand for options from couples looking for live wedding songs, so we started offering our services and people loved it! I think many couples hesitate when hiring live musicians due to the price, and it is true that we are probably more expensive than a DJ, but live musicians really do bring an element of class to wedding ceremonies and receptions that recorded music can't match, and guests absolutely love listening to our renditions of songs they know. I also think brides love that we can take a popular song they know and turn them into wedding songs for their bridal processional. We are always asked what kind of wedding songs we can play, which ensemble is best for the venue, and what the price is. The answer to each of those questions really varies by each event that we are contracted for. Personally, I love our wind quintet - it is the original ensemble of the group and has the most amount of wedding songs and genres available. I won't turn down anyone though, if they only want or can afford a string duet then we will provide the best duet available to them. There are many groups out there with sub-par amateur musicians who charge less- but you get what you pay for with them. How do you know you're talking to a good wedding songs performer? 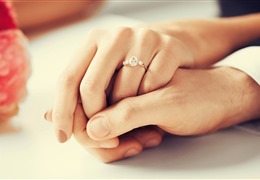 Wedding songs performers need to be able to improvise quickly and be open and adaptable to change. We never know if a wedding ceremony is running a few minutes behind, requiring us to play more wedding songs or adjust classic wedding songs. We need to be able to quickly find places to cut wedding songs in case wedding parties walk faster down the aisle than expected. At a wedding earlier this year, we were asked very last minute to perform during a special mid-wedding ceremony and were able to bring out a beautiful piece of music with little difficulty. 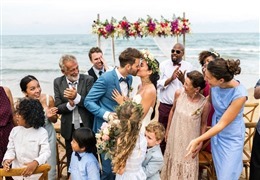 A good musician will ask clients what they are looking for in their ceremony and will custom tailor the group's wedding songs list and details to match the client's dream, instead of requiring the client to conform to the options the musician has available. I think clients should work with the person they are most comfortable with, someone who is outgoing and friendly, approachable, has a good amount of knowledge and experience, and has received positive reviews of their services. There are many groups out there with sub-par amateur musicians who charge less- but you get what you pay for with them. Which was the most memorable wedding for you? My own wedding! My wife and I were married in January of 2017 at Stone Brewery in Liberty Station, which is an absolutely gorgeous space. Our wind trio played, and we customized some really fun arrangements including Harry Potter, Princess Bride, and Indiana Jones (can you tell I like movie music?). We received so many compliments from our guests who loved the weddings songs and were impressed that it was my group playing. My musicians arrive about 30 minutes prior to the ceremony start time, and we start playing nice background wedding songs while guests arrive. The planning process probably takes the majority of my time. After a few initial emails, I like to speak on the phone or in person with my clients to make sure I have everything set, and I ask a lot of questions to make sure I have all of the details covered. 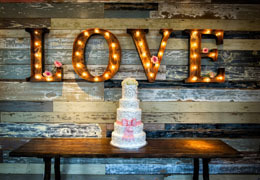 The planning also includes organizing wedding songs list, sometimes getting new pieces arranged or purchasing arrangements of pieces I don't already have, and making sure that all of my musicians are available for the date requested. What does your day at the wedding itself typically look like? The day of the wedding, I normally get to the location about one hour prior to the ceremony start time to make sure everything is set up and speak to the coordinators and officiant, sometimes I'll arrive earlier if I need to bring audio equipment (microphones, speakers, etc). My musicians arrive about 30 minutes prior to the ceremony start time, and we start playing nice background wedding songs while guests arrive. Once we get a cue from the coordinators, we will start with the processional music and then we relax and enjoy the ceremony. Depending on the size of the ensemble you request from us, you can expect to pay $300-$700 per hour for our services. We typically only play for the wedding ceremony and cocktail hour, but we have also played for dinner receptions and first dances. We really aren't a dance band, but we have connections with great DJ's and other live event bands that we can work with and incorporate into our contract. Depending on the size of the ensemble you request from us, you can expect to pay $300-$700 per hour for our services. We typically will discount our rates if we are playing multiple hours for any events within central San Diego, and we also offer discounts to military, emergency responders, and teachers for events within central San Diego. 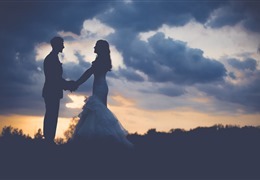 What could the grooms and brides do that would make your job easier? Please speak with your wedding coordinator about where you want us to set up, and please make sure that we have shade for outside events. We play our wedding songs on very valuable and sometimes historic instruments that cannot be in direct sunlight or be exposed to any elements. Learn more about Left Coast Quintet and see what they have to offer!